Looking for new at”tire”? Some of the newest collections set to debut at Cars Land merchandise locations this summer will get your motor running. 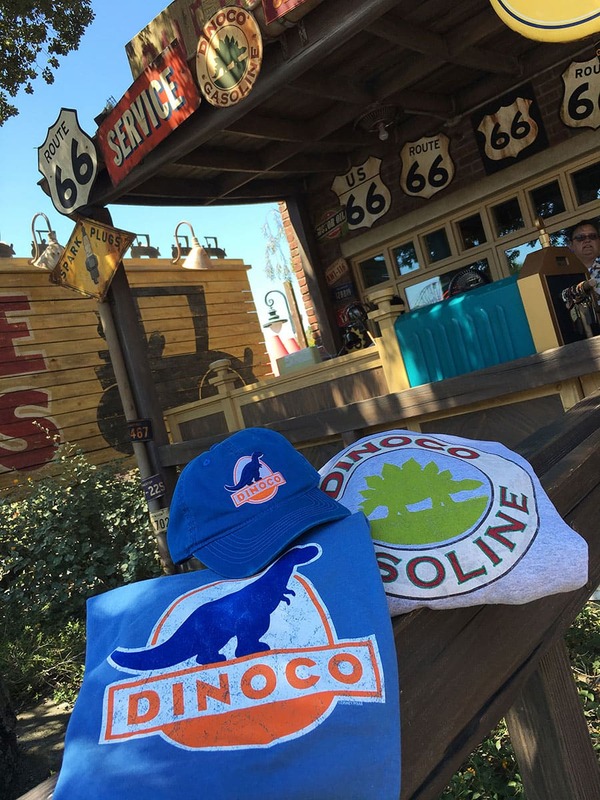 The Dinoco themed apparel is just part of the rip-roarin’ fun merchandise that has been created for the entire family. The new line will include an adult and youth tee, fleece and baseball hat. However, if it’s other classic “Cars” characters you seek – look no further than the Tow Mater “No Stall” tee. 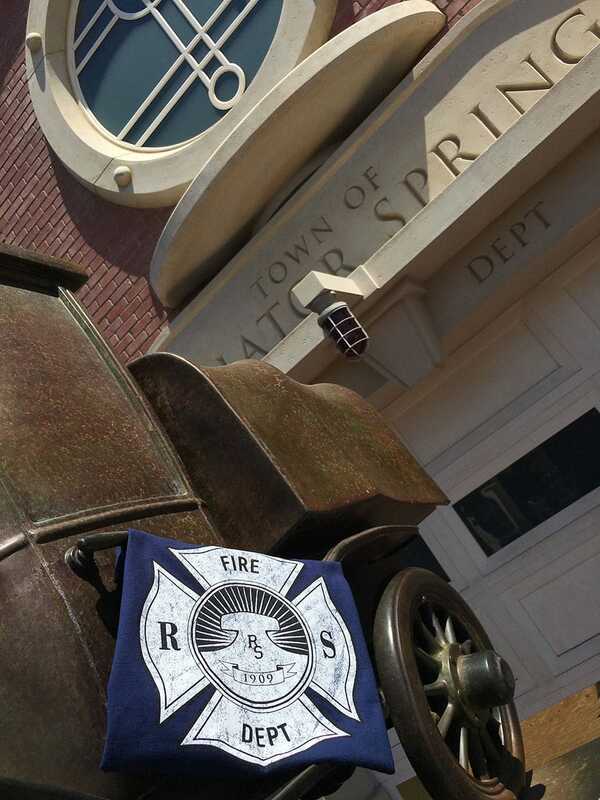 This authentic collection typically lends itself to be a little more nostalgic in nature, features one of my all-time favorite items – and something I know has been requested time and time again, by friends of mine and by you – a Radiator Springs Fire Dept. tee. Also keep an eye out for the cleverly created U.S. 66 art that will appear on a sign, die-cut keychain and open edition pin. 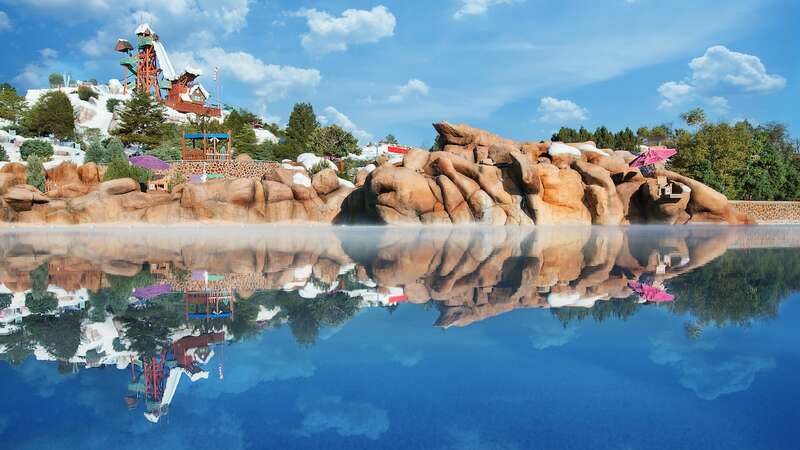 Finally, as many of you know, Cars Land is a beautiful place to visit during the day or night. But it’s at night that you find a special neon glow that brings everything to life. I can say the same for this next collection of items as well. 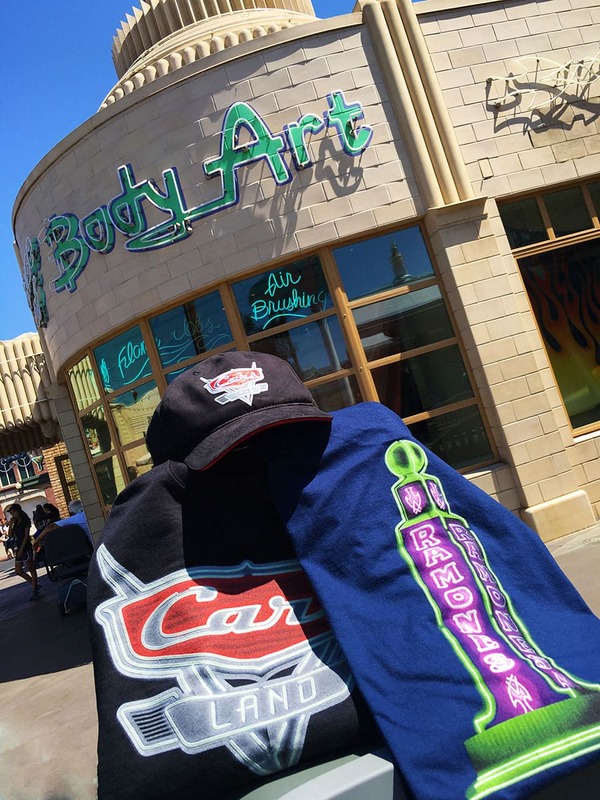 While I wasn’t able to feature everything, I thought I could at least offer a sneak peek at the Cars Land logo fleece and Ramone’s House of Body Art tee. Yes, they actually glow! If you’re thirsty for more, we have you covered. Debuting alongside these items will be a water bottle and travel tumbler, as well as a baseball hat to keep you looking cool, all day long. Look for these new merchandise collections and more at Cars Land locations this summer at Disney California Adventure park. can these items be found on the disney store or at disney world? 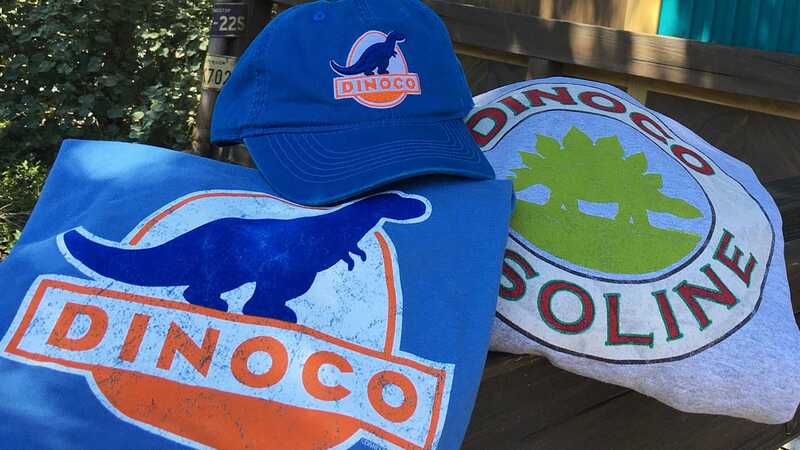 Any idea if the Dinoco baseball hat will come in an adult size? So far the stores are only carrying the youth size and castmembers I spoke with had no idea if an adult size version was forthcoming. Awesome–are those merchandise here to stay–will it still be around springbreak of next year? Those shirts are awesome. I especially love the Dinoco and Fire Dept. ones.